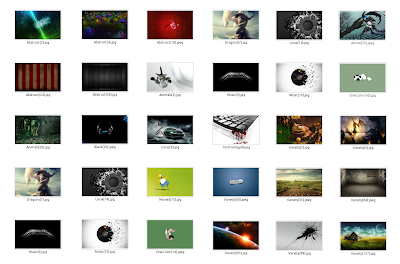 On the Wallch (Wallpaper Changer) Launchpad page I've found a link to a collection of around 1000 widescreen HD wallpapers and thought I'd share the link with you. The wallpapers are nicely organized into categories such as: Abstact, Animals, Black&White, Dragons, One Color, Music, Technology, Cars and so on (there's a total of 20 categories). You can use these wallpapers to automatically set a random wallpaper every X minutes using an application such as Wallch, Wally, Webilder, CreBS and so on.